Presto! How to Make Your Own Pesto! "Pesto is the quiche of the '80s"
and the line was used in Harry Met Sally becoming an instant famous movie quote with foodies. Somehow, pesto has yet to go out of style. Everybody seems to love Pesto. And the fantastic thing about Pesto, is with so many varieties, there is one to please almost anybody. 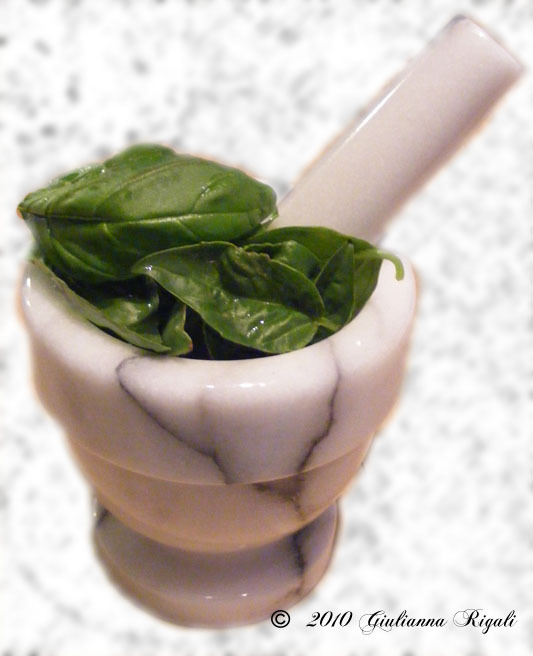 Pesto is a basil based sauce originating in Genoa, thus using Genovese Sweet Basil as its primary ingredient. 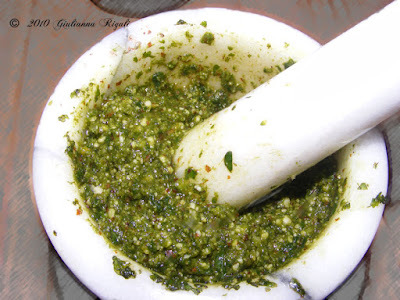 The word Pesto comes from the Latin word "pesta" to pound or crust, and thus we also get the word Pestle in English. What is a pestle some may ask? It is the instrument used to grind in a mortar, made of marble, wood, or steel. 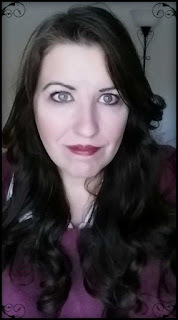 Today many cooks use their food processor and I certainly will not fault you if you so choose. However, in our casa, we use a marble mortar and pestle. Traditionally, Basil, coarse sea salt, pine nuts, olive oil, and parmesan are the ingredients. 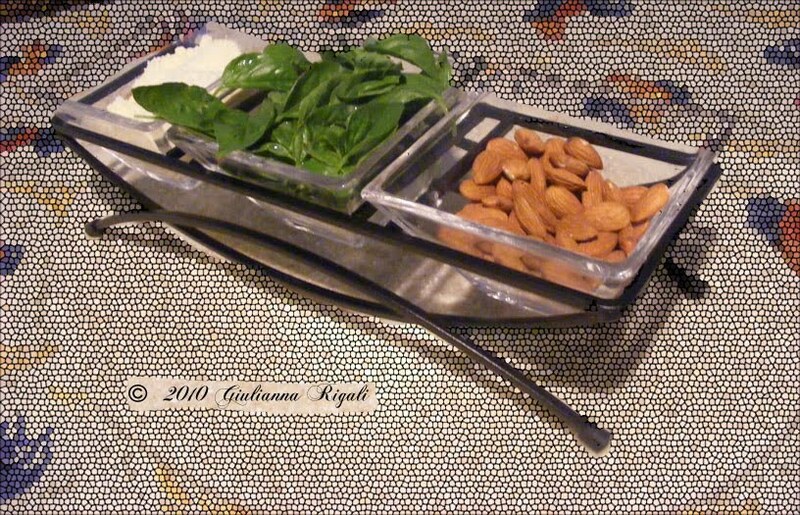 However, in our recipe, we substitute raw almonds for the pine nuts and add garlic. Remove the stems from the basil leaves, and rinse them thoroughly under cold water. Place basil in a mortar or food processor. If using a mortar, grind a small amount at a time and add more using a pestle until finely ground. 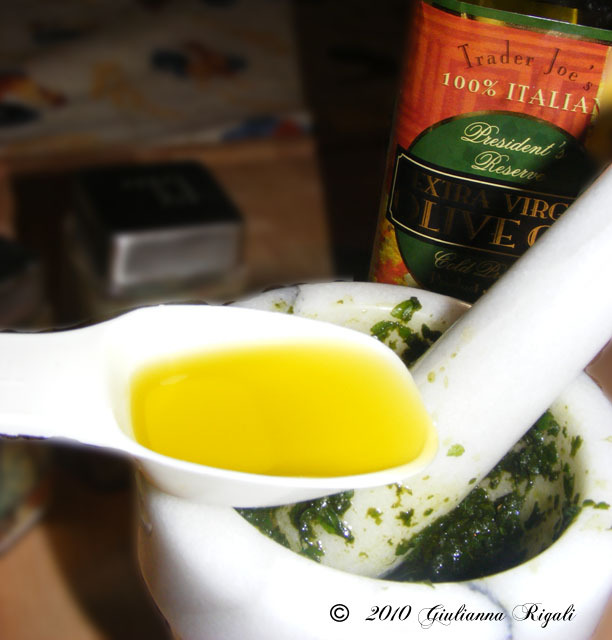 If using a mortar, add olive oil after grinding basil. If using a food processor add olive oil at the same time as the basil and process until smooth. 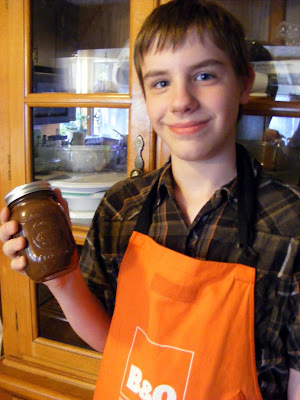 Combine garlic, nuts, cheese, and salt and continue mixing until well blended. Depending on your purpose, you can add more olive oil if needed. Pesto makes a delicious addition to Italian sauces, served as the main sauce, or as a dip.